By offering great pricing and staffing knowledgeable locksmiths, saving our customers money is a daily occurrence. But recently, when we saved a client minimum $100.00, we knew we had to share the story. We got a call from a woman who needed a locksmith to re-key her house. She called a few locksmith companies including Brucar Locksmith and chose a different company due to their $19 service call (Brucar Locksmith’s service call starts at $35). As I said in earlier blogs, we take this opportunity to tell the client that no matter what locksmith company they use, make sure to check ID and ask for an estimate BEFORE work begins. Bottom line, go with your gut instincts. Do you feel comfortable letting this person work on the keys and locks on your home/car/office?? The locksmith she chose due to the low service call charge did not make her feel comfortable, but what made her not go through with the transaction was the fact that the total cost for the service call plus two re keys was now starting at $175! She was shocked that the price had risen so drastically. So they sent him away and called Brucar Locksmith to ask if we can come do the job. When our uniformed locksmith arrived, one of the two women said to her friend, “look at the van! it says locksmith all over it! and this guy even looks like a locksmith”. Apparently, the other technician who arrived was in an unmarked van and had nothing relating to a locksmith company on his person. Brucar Locksmith’s technician finished the job quickly and the invoice came out to exactly what was quoted on the phone as well as on site before the work was done. Brucar Locksmith will always give our true prices upfront so there is no guessing. If something does comes up, our technicians will discuss in detail with the client, and offer educated suggestions. But never will they do any work without the clients approval. And most likely, as mentioned at the start of this post, we will save the clients money due to our experience and ability with troubleshooting, and vast knowledge of how locks work. We are available to give advice on lock or safe issues no matter where you are. You always have access to an honest professional locksmith on the other end of the line. 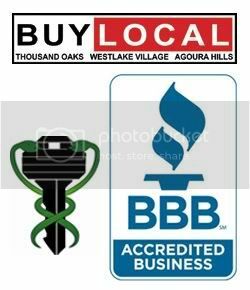 805-241-0777 or toll free 866-7171-KEY (539) . ← Think twice before you bite some cheap bait. You might end up paying much more in the end. 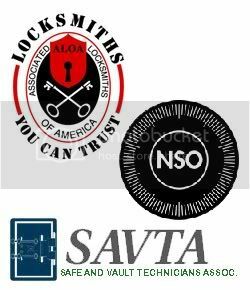 You made a very good point about trusting your gut when choosing a locksmith company. It’s a good thing that you told that woman to check for ID and ask for an estimate before any locksmith starts working in your house. I’m surprised that the other locksmith company that she called wanted $175 for the service call and to re-key two locks. It’s a good thing that she decided to call a different locksmith company that she felt comfortable working with. Thank you for your reply. Indeed it is always important to “trust your gut”.